We’re closer than ever to animal-free meat thanks to these new breakthroughs. The day when even vegans can enjoy a crispy slice of bacon is closer than ever as a team of researchers just published a paper in the journal Scientific Reports outlining advancements made in lab-grown meat, specifically from pig cells. Their paper focused on two particular breakthroughs in testing. The first highlighted the transformation of adult stem cells from livestock into a pluripotent state so that they could be developed into muscle that would be ideal for cooking. The other was learning how to nurture tissue growth without the use of animal serum, the liquid in which blood cells and platelets float. Animal serum was a key ingredient for the development of tissues in other efforts to grow meat in a lab, but these scientists found a way to create a synthetic formula that has similar components. Both findings increase the feasibility of creating meat that is 100 percent animal free. “Ideally, we believe that our process can be much more efficient than (feed) consumption by cattle because we’re only producing the product that the consumer wants — muscle,” explains Nicholas Genovese, who authored the paper. Even with lab-grown meats on the horizon, the world’s livestock industry doesn’t seem to be the least bit threatened, nor should they. Taste, cost, and a general reluctance on behalf of the general population would likely be the biggest barriers to widespread adoption should these artificially grown slabs of beef and pork ever make it to the market. However, the goal right now is simply to produce these animal-free cuts; replicating key elements of meat such as flavor, smell, and texture are concerns for a later time, as is finding a way to get the public to accept cultured meat as a preferred alternative to the real deal. The current consensus is that lab-grown meats will still be more expensive, and it will take at least half a decade before any real benefits of artificially created meat become evident. Once that happens, however, the cost of producing muscle tissue and bringing it to consumers may actually prove to be significantly cheaper than raising animals and getting them to the market. Growing only muscle tissue means minimizing the logistics surrounding maintaining livestock, such as facility use, storage, and transport. It will also require fewer resources, such as water and land, which will translate to lower greenhouse-gas emissions. Ultimately, as more advancements are made in this field, lab-grown meat might prove to be better for humans. In a few years, we could see nutrition-packed, lab-grown meats that are cleaner, safer, and healthier to eat. Hopefully, by then, they’ll also taste just as good as the real thing. 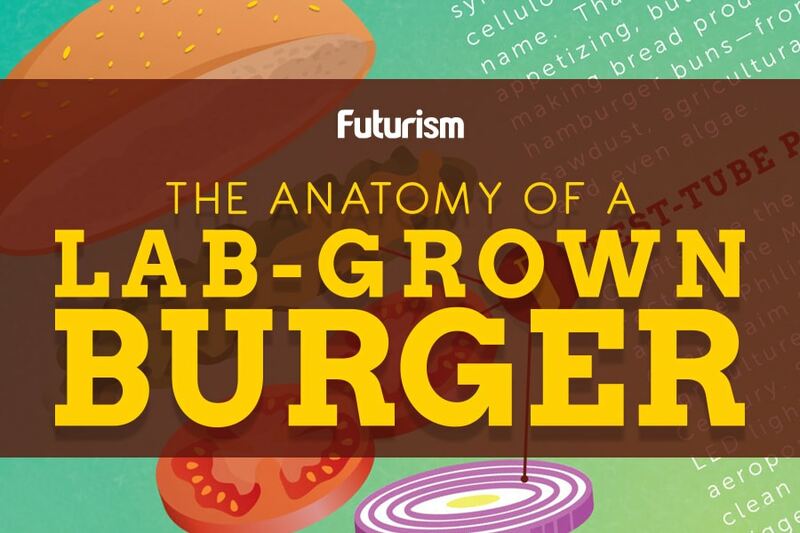 Could a Fungus be the Answer to Giving Lab-Grown Meat Texture?